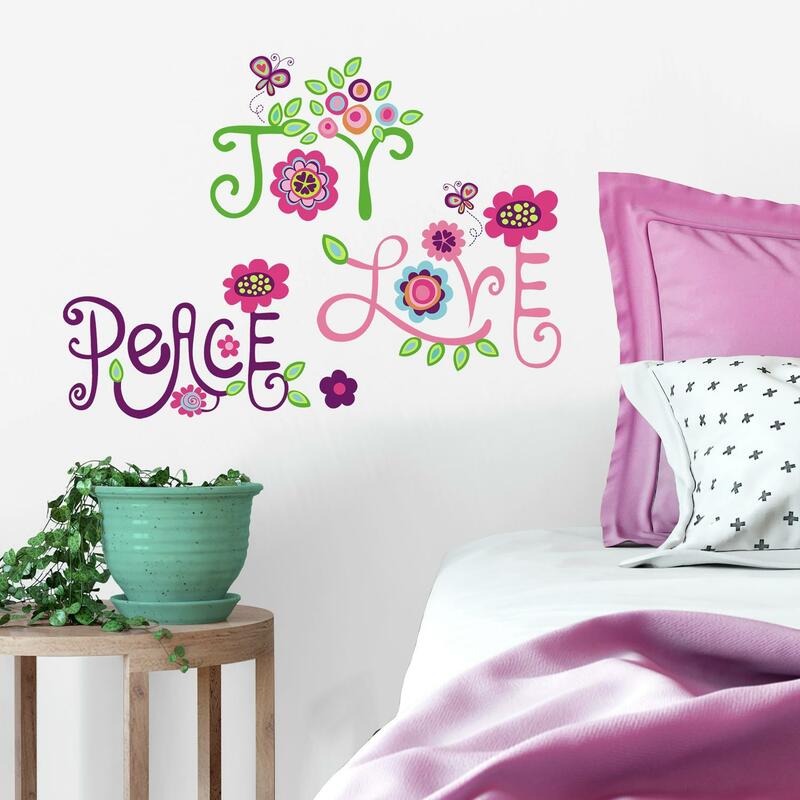 Celebrate peace, joy, and love with these funky, flowery, and colorful wall decals. 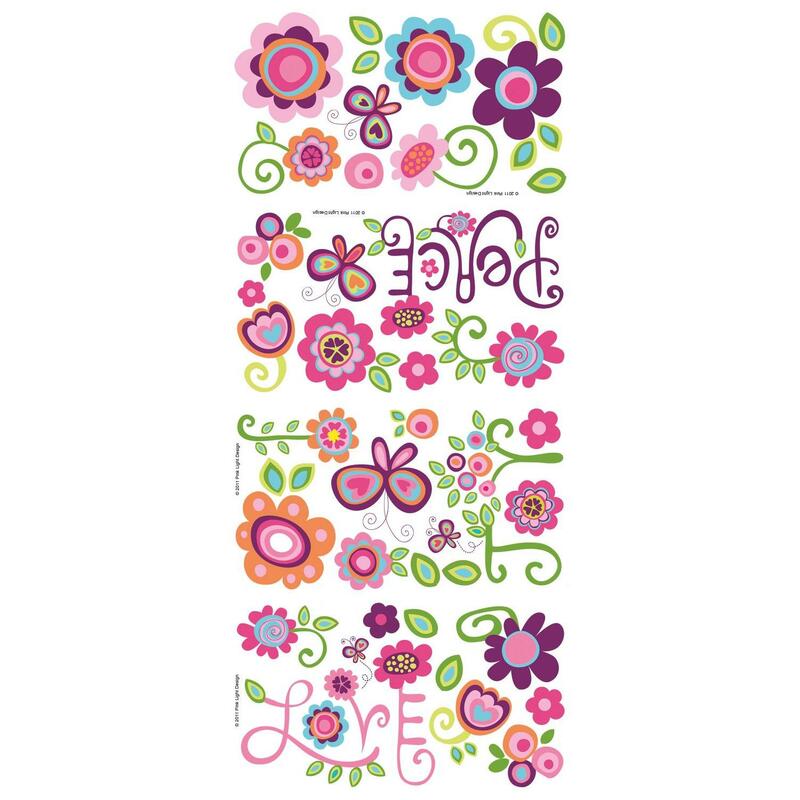 Designed by the Pink Light studio, these stickers are a perfect way to decorate your teen or tween's bedroom. Each of the elements are pre-cut, and can be applied to any smooth surface. These aren't just for walls: stick them up on furniture, windows, doors, ceiling fans, or even on laptops and other electronics! 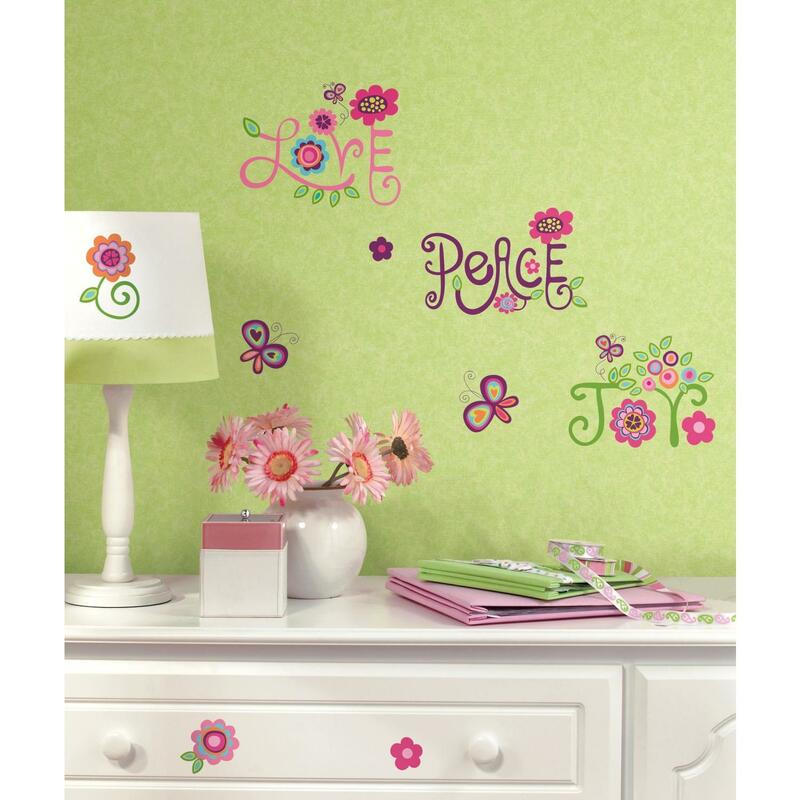 The decals can be repositioned countless times without damage, and will never leave behind any sticky residue. 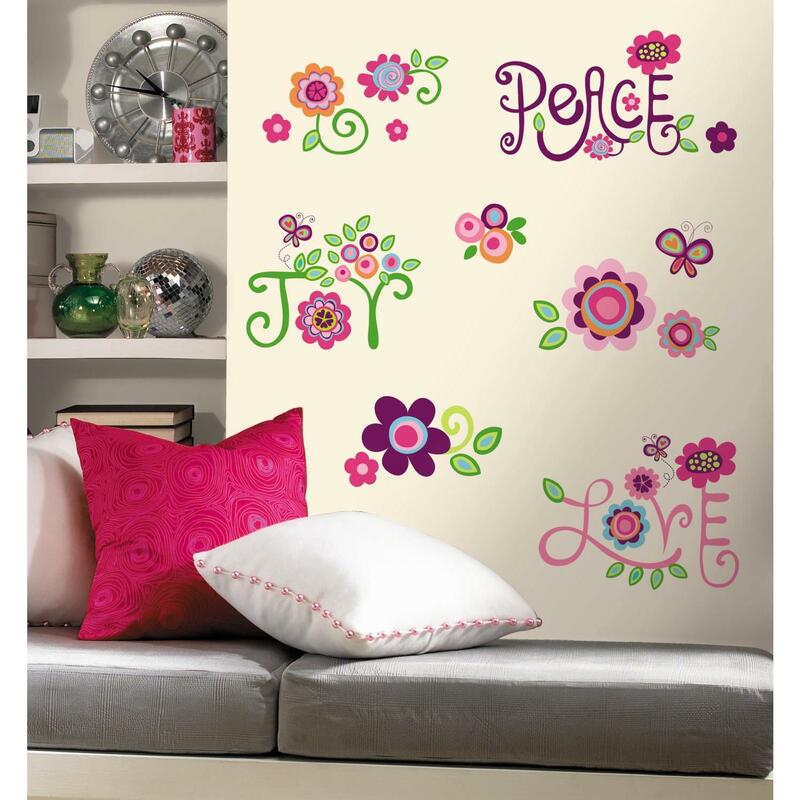 Pair them with the coordinating Flower Stripe decals (listed and sold separately) to add some more funky fun to any room! Decals are printed on clear material. White or light walls are recommended for best results.